Save AED 29 (74.36%) – Earn 1 Shukran What is Shukran? Shukran is the Landmark Group’s award-winning loyalty programme in the Middle East, which allows you to earn Shukrans when you shop any of our brands. Complete your stylish look by getting this attractive pair of slides that feature dual straps. 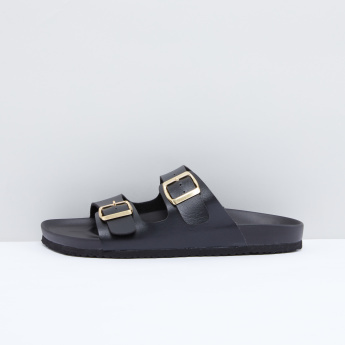 The slides come with a buckle detail that can be adjusted for a desirable fit.